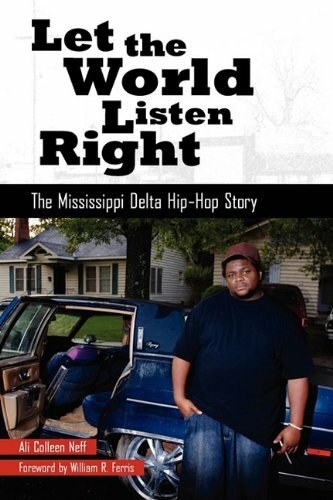 Let the World Listen Right: The Mississippi Delta Hip-Hop Story. Full-length book developed from Master’s Thesis, University Press of Mississippi American Made Music Series, 2009. Excerpt on media practices of the Black Atlantic and US South here. A Body in Sound: Women, Voice, and Media in Dakar, Senegal. Monograph solicited by K. Wissoker, Duke University Press, 12/13. First two chapters and introduction for review 12/14. “Digital, Underground: Sounding the Hidden Contours of Hip-Hop Media.” The Oxford Handbook of Hip Hop Studies, Jason Lee Oakes and Justin D. Burton, Oxford University Press, 2017. “Madame Liquidator: The Musical Mainstream and Oceanic Feminisms” in _Rethinking Difference in Gender, Sexuality, and Popular Music: Theory and Politics of Ambiguity_ ed Gavin S. K. Lee. Routledge, 2017. "Sounding Global Southernness" with J. Burton, Journal of Popular Music Studies. V. 27.4 Dec 2015. “Roots, Routes and Rhizomes: Sounding Women’s Hip Hop on the Margins of Dakar, Senegal.” Journal of Popular Music Studies. V. 27.4 Dec 2015. “Senegalese Hip-Hop,” In J. Williams, ed., Cambridge Companion to Hip-Hop, Cambridge University Press, 2015. “Voicing the Domestic: Senegalese Sufi Women’s Musical Practice, Feminine Interior Worlds, and Possibilities for Ethnographic Listening.” With photography, Collaborative Anthropologies, v6: Spring 2014. New Masters of Eloquence: Southernness, Senegal and Transatlantic Hip-Hop Sensibility” With photography, Southern Cultures Journal, 18:4 Winter 2013. “Collaboration Conversation: Engaged Ethnography as Public Scholarship,” Collaborative Futures: Critical Reflections on PubliclyActive Graduate Education, ed. A. Gilvin and G. Wright, The Graduate School Press of Syracuse University, 2012. “In One, All: Senegalese Women Freestyle Artists Unify the Global Ghetto” in Social Text Online, Periscope: Nov. 6, 2011. “Blues and Race in the American South.” In The New Encyclopedia of Southern Culture, vol. 23: Race, ed. C. Reagan Wilson, University of North Carolina Press, forthcoming 2014. “Home of the Double-Headed Eagle.” On Visionary Architecture, with photography, Southern Cultures Journal, 16:4 Winter 2010. “Crunkology: Teaching the Southern Hip-Hop Aesthetic,” Popular Music and Pedagogy, ed. N. Biamonte, Scarecrow Press, 2010. “Mississippi Hip-Hop” entry, Mississippi Encyclopedia, ed. T. Ownby, Univ. Press of Mississippi, forthcoming. “Senegalese Hip-Hop” entry, Cambridge Companion to Hip-Hop, ed. J. Williams, Cambridge University Press, forthcoming spring 2015. “Generation Fly-to-Fly: African Popular Music and Feminine Mobilities.” With photography, minor revisions in process, The Drama Review. “Of Bluebirds and Lines of Flight: Transcendental Lyricism in the Final Works of David Bowie and Gilles Deleuze” Deleuze & Music, Oxford University Press. 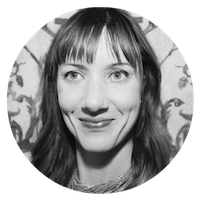 “Fugitive Proximities: Mobile Media Practices and the Black Lives Matter Movement.” With Sindhu Zagoren, pending research fellowship proposal 6/16. Sounding Global Southernness, Co-Editor with J Burton, Special Issue of Journal of Popular Music Studies, with editors’ introduction, V. 27.4, Dec 2015. “Legions of Boom by Oliver Wang,” Journal of the Society for American Music, Nov. 2016. “Sounding Black Media: Africa in Stereo by Tsitsi Ella Jaji,” Current Anthropology, Special issue: “Anthropology of Sound,” Issue 30 VI 16: December 2016. “Queerness in Heavy Metal: Metal Bent by Amber Clifford,” Journal of Popular Music Studies, V 28 Issue 3: August 2016. “Language, Discourse and Power in African American Culture by Marcileyna Morgan,” in Journal of American Folklore, 123:489, Summer 2010. "La Voce Delle Donne Sufi in Senegal,” Frontiere News, Rome, June 2016. "Black Lives Sounding,” with Sindhu Zagoren. La Mission magazine, Berlin, February 2016. Featured Guest, Left of Black, with host Mark Anthony Neal, Duke University (podcast), April 2014. Multimedia public scholarly project and website, www.ethnolyrical.org: writings on popular and traditional musics and ethnographic work on music, sound and video field recordings, critical essays, photography, educational podcasts, weblog, 2009-present. “Angélique Kidjo: A Global Voice for West African Women,” UNC Performing Arts Series Magazine, Fall 2011. UNC Center for Global Initiatives/WXYC Radio International Music, Two hour-long radio documentaries concerning my ethnographic work with women musical practitioners in Senegal (Producer). Available at: www.ethnolyrical.org, 5/2010, 10/2011. Freelance A&E Journalism: The San Francisco Bay Guardian, SF Weekly, SPIN, Clarksdale Press-Register, etc. 1998-present. National Public Radio Interview, The State of Things with Frank Stasio; January 25th, 2007.